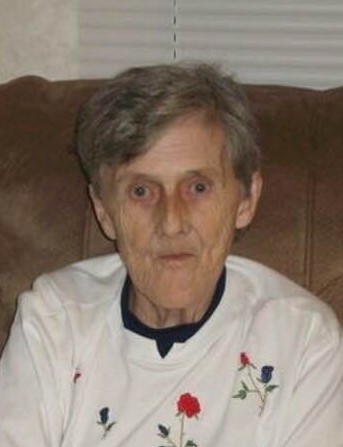 Jessie L. Hill, age 81, of Morristown, passed away peacefully at her home on Monday, April 15, 2019. She was of the Baptist faith. She was preceded in death by her parents, Everett and Mae Bowlin; 1st husband, Edward Perry; 2nd husband, Mack “Moe” Hill; daughter, Althea “Yogi” Perry; and several brothers and sisters. She will be remembered by her children, George Hill, Delaine (Louis) Hampton, Linda Malone, Ginger Perry, Tina Maxine Raines, and Donna Chance; grandchildren, Natasha Lamb, Phillip Perry, Tyler Hampton, Walter Hampton, Jr., Josh Jarnigan, Robert Jarnigan, Jessica Perry, Jonathan Chance, Eric Chance, Cassidy Chance, Blake Holman, Julie Holman, Brad Burns, Victoria Burns, and Ben Burns; two sisters; and two brothers. The family will receive friends from 1 – 2 p.m. Thursday, April 18th at Westside Chapel Funeral Home. Funeral services will follow at 2 p.m. with Rev. Lee Guin officiating. Interment will follow at Sunderland Cemetery. Arrangements by Westside Chapel Funeral Home in Morristown.